Life in a car seat can be tough. Just when you fall to sleep, you're exposed to blinding sunlight, flying insects, chilly breezes and airborne germs. You wouldn't want that and neither does your precious little one. Protect them with an infant car seat cover from Bonafide Baby. 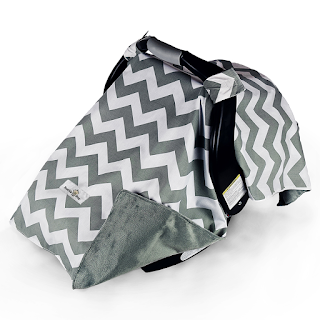 These adorable and functional infant car seat covers are available in three (3) great colors: blue, grey, and pink! Blue is perfect for baby boys, pink is perfect for baby girls, and grey is perfect for those who want a gender neutral car seat cover. This car seat cover is machine washable with a blend of polyester and cotton, and a soft, plush backside for your baby's comfort that also doubles as a blanket. The adjustable Velcro straps ensure a perfect fit for all brands of cars seats. I love the weight and feel of the fabric. I also love the soft plush side, it is so soothing for baby! 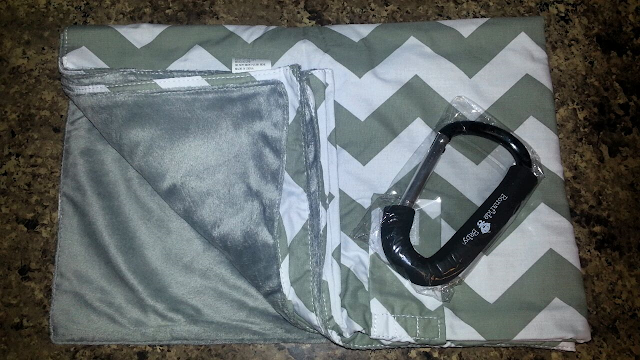 The fact that this car seat cover also doubles as a blanket makes it a must have for any mommy! The free stroller hook is useful in so many different ways. It conveniently stores your purse, diaper bags and more to your stroller, shopping carts, etc. Keeping them within your reach for easy access. Did you use a car seat cover for your baby? These are really nice to have. I never used these with my kids, I don't think they were around but we used one all he time with my grandson. I love the chevron pattern on this one.